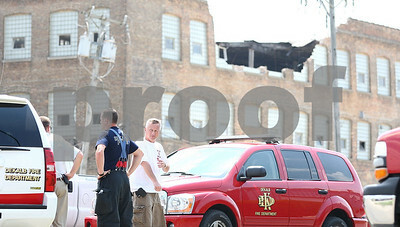 Kyle Bursaw – kbursaw@shawmedia.com Members of the DeKalb Fire Department talk by a building on Pleasant Street in DeKalb, long known as the Wurlitzer Company, where a portion of the building collapsed on Sunday, May 20, 2012. 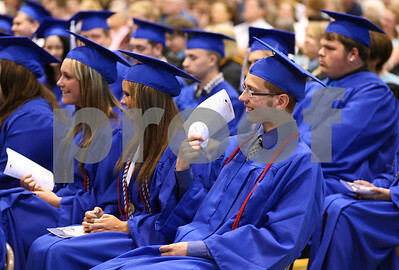 Kyle Bursaw – kbursaw@shawmedia.com Hinckley-Big Rock graduating seniors Kris Beitel (center) and Cory Bradburn play with their tassels as Kim Halverson delivers some last words to the group as they wait in line before the ceremony on Sunday, May 20, 2012. Kyle Bursaw – kbursaw@shawmedia.com J.D. 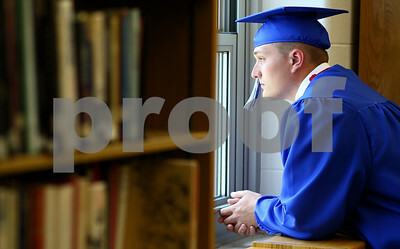 Oeters glances out the window in the library where the graduating Hinckley-Big Rock were getting ready for the ceremony on Sunday, May 20, 2012. 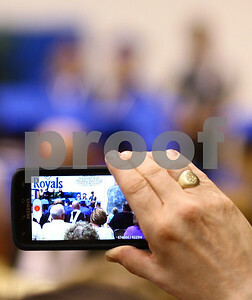 Kyle Bursaw – kbursaw@shawmedia.com A man in the crowd records a vocal duet by graduating seniors Rachel Phillips and Josie Kossman during the Hinckley-Big Rock commencement on Sunday, May 20, 2012. 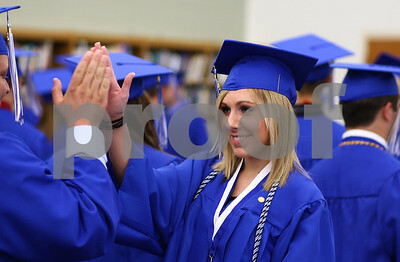 Kyle Bursaw – kbursaw@shawmedia.com Rachel Phillips gives a high five to Jimmy Raymond as the graduating Hinckley-Big Rock seniors are asked to begin to line up for the ceremony on Sunday, May 20, 2012. Kyle Bursaw – kbursaw@shawmedia.com Hinckley-Big Rock senior Roman Hartman uses the program as a fan to cool off during the commencement ceremony on Sunday, May 20, 2012. Kyle Bursaw – kbursaw@shawmedia.com Calogero Catalanotto (from left), Alyssa Cowan, Alyssa Dahlman, Brandon Dillenback and Megan Hamm chat while lined up and waiting for the Hinckley-Big Rock graduation to begin on Sunday, May 20, 2012. 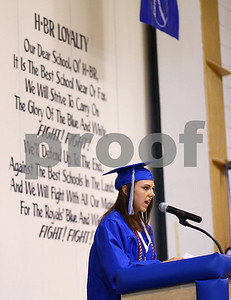 Kyle Bursaw – kbursaw@shawmedia.com Valedictorian Kaitlin Phillips gives some parting words to the Hinckley-Big Rock class of 2012 on Sunday, May 20, 2012. Rob Winner – rwinner@shawmedia.com Ashley Green (from left to right), Mary Edwards and Kristina Kramlich pose for a photograph before their nursing pinning ceremony at Kishwaukee College in Malta Saturday morning. Rob Winner – rwinner@shawmedia.com Nursing student Stacey Opiela (left) allows Jennifer Aversano to sign a card on her back for Sylvia Baker (not pictured) before their pinning ceremony at Kishwaukee College in Malta Saturday morning. 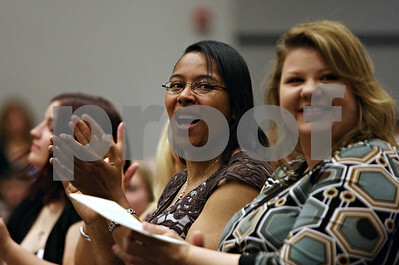 Rob Winner – rwinner@shawmedia.com Students LaSaundra Chandler (left) and Lisa Carter applaud for their instructors before receiving their nursing pins during a pinning ceremony at Kishwaukee College in Malta Saturday morning. 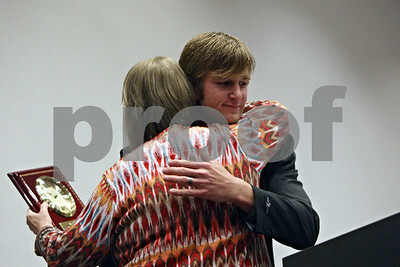 Rob Winner – rwinner@shawmedia.com Nursing student Garrett Burton (right) presents director of nursing Heather Peters with a plaque before his student address during a pinning ceremony at Kishwaukee College in Malta Saturday morning. 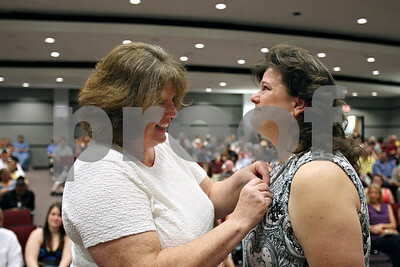 Rob Winner – rwinner@shawmedia.com Lisa Anger (right) receives her nursing pin from her mentor Sue Allen during a pinning ceremony at Kishwaukee College in Malta Saturday morning. Rob Winner – rwinner@shawmedia.com Director of nursing Heather Peters (left) pins nursing graduate Amie Bemis during a pinning ceremony at Kishwaukee College in Malta Saturday morning. Rob Winner – rwinner@shawmedia.com Quincy Kimble anxiously awaits his turn to receive his nursing pin during a pinning ceremony at Kishwaukee College in Malta Saturday morning. 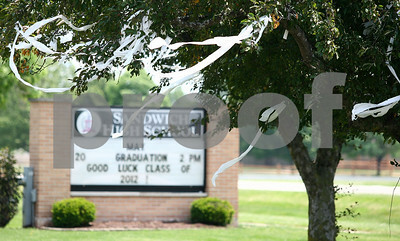 Kyle Bursaw – kbursaw@shawmedia.com Severals trees at Sandwich High School have toilet paper hanging from the branches before the graduation ceremony there on Sunday, May 20, 2012. 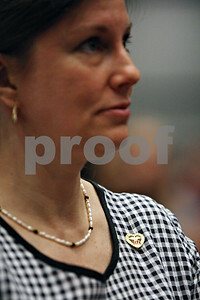 Rob Winner – rwinner@shawmedia.com Nursing graduate Sherry Wisdom watches her fellow classmates receive their nursing pin during a pinning ceremony at Kishwaukee College in Malta Saturday morning. 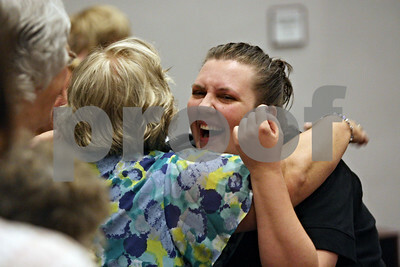 Rob Winner – rwinner@shawmedia.com After receiving her nursing pin, Claire Perkovich (right) is hugged by pediatrics instructor Susan Hudson during a pinning ceremony at Kishwaukee College in Malta Saturday morning. Kyle Bursaw – kbursaw@shawmedia.com Jason Kellmer was one of several Sandwich High School grads in the Tri-M music honor society to earn a second tassel, seen on the left. 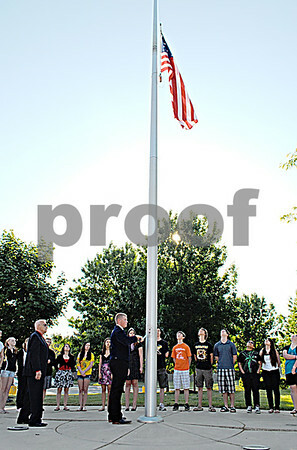 Sunday, May 20, 2012. 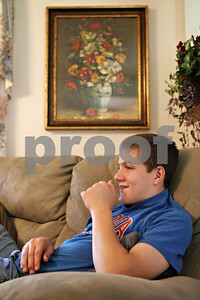 Kyle Bursaw – kbursaw@shawmedia.com Caitlyn Jennings helps her twin brother A.J. 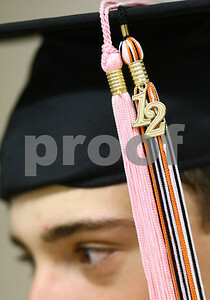 Jennings with his cap before the Sandwich High School graduation on Sunday, May 20, 2012. Kyle Bursaw – kbursaw@shawmedia.com Hannah Prucha (right) takes a group picture of some of her fellow graduating seniors before the Sandwich High School graduation ceremony on Sunday, May 20, 2012. 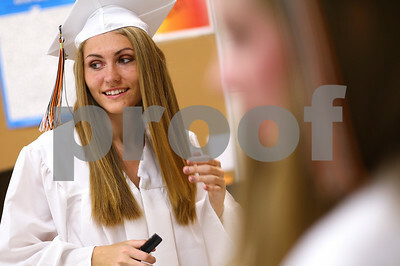 Kyle Bursaw – kbursaw@shawmedia.com Gail Rogers combs her hair after putting on her cap before the Sandwich High School graduation ceremony on Sunday, May 20, 2012. 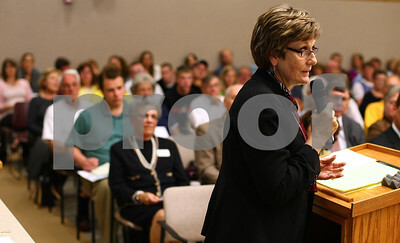 Kyle Bursaw – kbursaw@shawmedia.com Robbin Stuckert, the presiding judge of the DeKalb County Drug/DUI Court, talks about the program at DeKalb County Board Report on the DeKalb County Drug/DUI Court in Sycamore, Ill. on Monday, May 21, 2012. 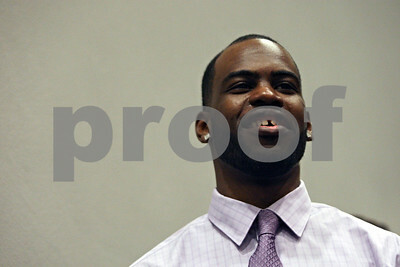 Kyle Bursaw – kbursaw@shawmedia.com Tara King, a DeKalb County Drug/DUI court graduate and president of its C.L.E.A.N. 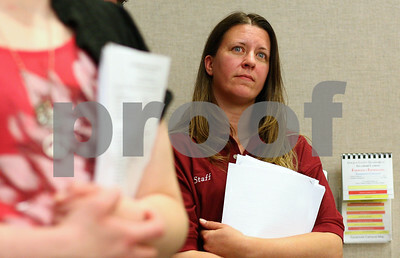 Slate Alumni Program, watches the proceedings at a DeKalb County Board Report on the DeKalb County Drug/DUI Court in Sycamore, Ill. on Monday, May 21, 2012. Multiple graduates came out to the meeting to show their support. Kyle Bursaw – kbursaw@shawmedia.com Dr. Marilyn Stromborg, coordinator of the DeKalb County Drug/DUI Court, shows the DeKalb County Board and those attending statistics about the program during a meeting in Sycamore, Ill. on Monday, May 21, 2012. Kyle Bursaw – kbursaw@shawmedia.com Chef Alex Smith reaches for a utensil while helping Mikala Busch, 13, make 'monster cookies' on Tuesday, May 8, 2012. On Tuesday nights prior to meals, Smith leads a program called 'Baking with Chef Alex' where groups come and learn about working in the kitchen while helping produce baked goods for the meals. Kyle Bursaw – kbursaw@shawmedia.com Chef Alex Smith, of Feed'em Soup (right), works with the Busch family including Todd (from left), Emma, 9, and Dawn to bake 300 'monster cookies' on Tuesday, May 8, 2012 to be served at the Feed'em Soup meal the next day. On Tuesday nights prior to meals, Smith leads a program called 'Baking with Chef Alex' where groups come and learn about working in the kitchen while helping produce baked goods for the meals. 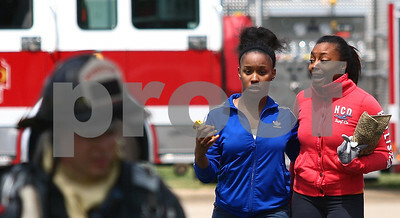 Kyle Bursaw – kbursaw@shawmedia.com Roommates Brandi Gordon and Brandee Ross (right) react as Ross arrives on the scene of a fire that started in a neighboring apartment in their building at 1057 Ridge Road in DeKalb, Ill. on Monday, May 21, 2012. 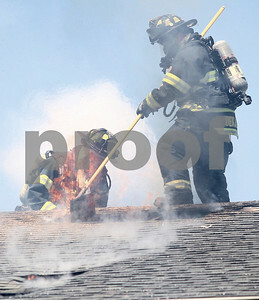 Kyle Bursaw – kbursaw@shawmedia.com DeKalb firefighters work to open up a hole in the roof of 1057 Ridge Drive in DeKalb, Ill. to extinguish a fire on Monday, May 21, 2012. 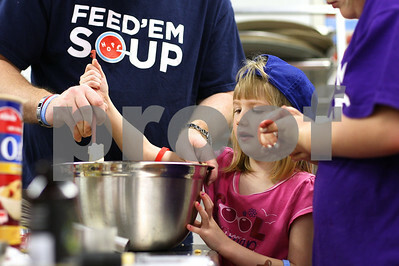 Kyle Bursaw – kbursaw@shawmedia.com Todd Busch (in Feed'em Soup shirt) helps his daughter Tessa, 4, mix up the ingredients for 'monster cookies' on Tuesday, May 8, 2012 to be served at the Feed'em Soup meal the next day. On Tuesday nights prior to meals, Smith leads a program called 'Baking with Chef Alex' where groups come and learn about working in the kitchen while helping produce baked goods for the meals. 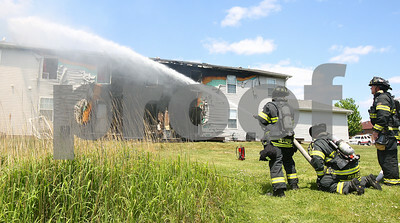 Kyle Bursaw – kbursaw@shawmedia.com DeKalb firefighters spray at the roof of 1057 Ridge Drive in DeKalb, Ill. to extinguish a fire on Monday, May 21, 2012. Rob Winner – rwinner@shawmedia.com Tip Top Roofing and Construction owner Kapu Aluli (second from right) talks with former employee Mark Simmons as Aluli's softball team bats during a game at Katz Park in DeKalb Thursday, May 10, 2012. 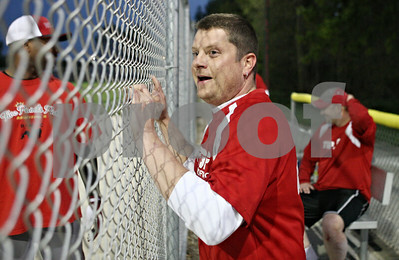 Rob Winner – rwinner@shawmedia.com Tip Top Roofing employee Jeremy Jacobs cheers for a play on the field as the Tip Top Roofing softball team plays a game at Katz Park in DeKalb Thursday, May 10, 2012. 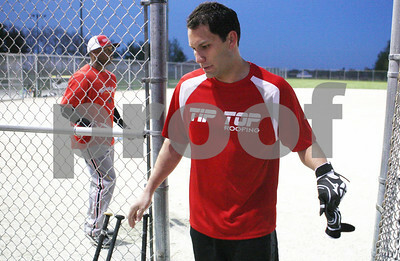 Rob Winner – rwinner@shawmedia.com Tip Top Roofing and Construction owner Kapu Aluli heads off the field during a company softball game at Katz Park in DeKalb Thursday, May 10, 2012. 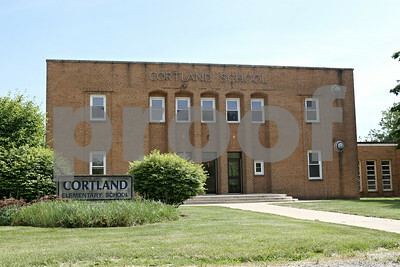 Rob Winner – rwinner@shawmedia.com The old Cortland Elementary School building as seen on Wednesday, May 23, 2012. 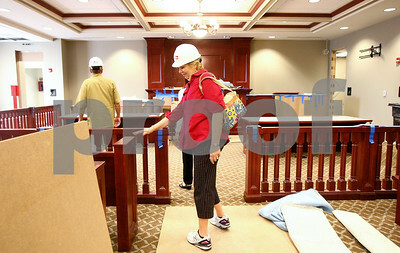 Kyle Bursaw – kbursaw@shawmedia.com Ruth Anne Tobias, chair of the Ad Hoc Courthouse Committee, looks at the pieces installed in what will be the new the high traffic courtroom in the expansion of the DeKalb County Courthouse on Wednesday, May 23, 2012. Kyle Bursaw – kbursaw@shawmedia.com Larry Anderson (from left) Julia Fauci and Ruth Anne Tobias, all of the Ad Hoc Courthouse Committee, walk through the construction area on the first floor of the expansion to the DeKalb County Courthouse on Wednesday, May 23, 2012. 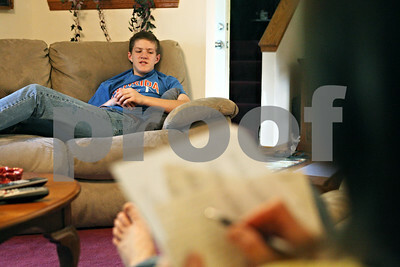 Rob Winner – rwinner@shawmedia.com Ben Rydecki, winner of the 2012 DeKalb County Spelling Bee, practices spelling words read by his mother, Carole, at their Somonauk home on Friday evening. 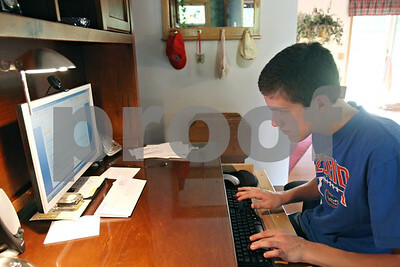 Rob Winner – rwinner@shawmedia.com Ben Rydecki, winner of the 2012 DeKalb County Spelling Bee, practices spelling words on his computer at his family's Somonauk home on Friday evening. 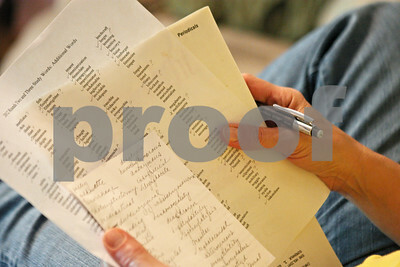 Rob Winner – rwinner@shawmedia.com Carole Rydecki uses a list of words to test her son, Ben Rydecki, at their home in Somonauk on Friday evening. Rob Winner – rwinner@shawmedia.com (From left to right) Sycamore resident Leslie Jacox and her daughter Brianna, 13, speak with Emily Barrile, a representative of the DeKalb County American Red Cross, during the Care or Be Square Youth & Family Volunteer Fair at the DeKalb County Community Outreach building Thursday evening. Brianna felt the need to get involved with volunteering and decided to attend the fair to get some information on how to help. 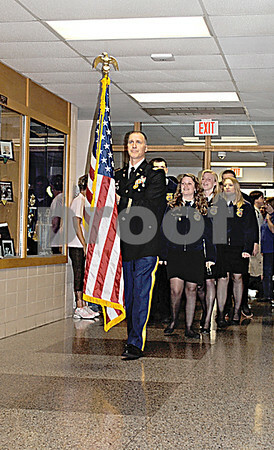 Thursday, May 24, 2012 DeKalb, Ill. 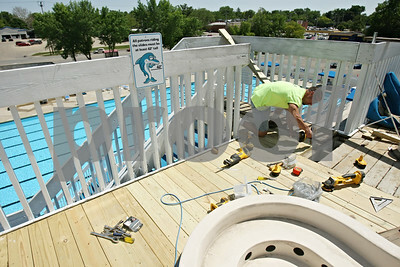 Rob Winner – rwinner@shawmedia.com DeKalb Park District employee Jeff Zweifel makes repairs to the top deck of the large water slide inside the pool area at Hopkins Park Tuesday afternoon. 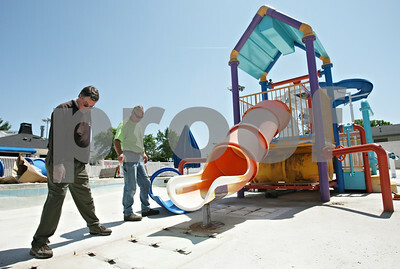 Rob Winner – rwinner@shawmedia.com DeKalb Park District employees Brad Garrison (left) and Todd Bex discuss the installation of a new water slide for the children's pool area at Hopkins Park Tuesday afternoon. 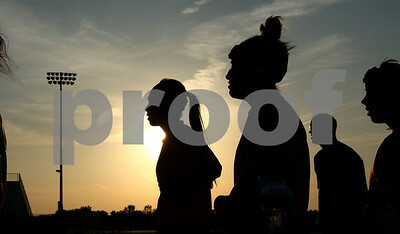 Kyle Bursaw – kbursaw@shawmedia.com DeKalb players watch the final minutes of their season from the sidelines with Sycamore up 2-0 in the Class 2A DeKalb Regional final on Friday, May 18, 2012. Kyle Bursaw – kbursaw@shawmedia.com Sycamore's Katherine Kohler (right) takes a shot around DeKalb's Alli Smith during the Class 2A DeKalb Regional final on Friday, May 18, 2012. 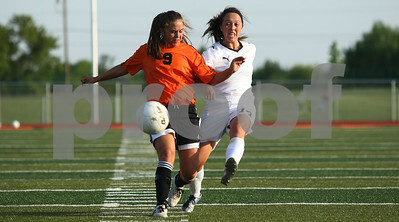 Sycamore beat DeKalb 2-0. 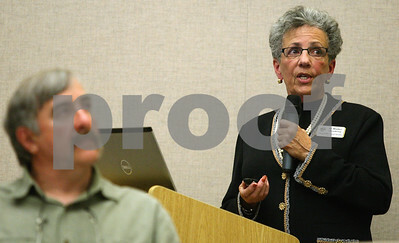 Robbin Stuckert, the presiding judge of the DeKalb County Drug/DUI Court, talks about the program at DeKalb County Board Report on the DeKalb County Drug/DUI Court in Sycamore, Ill. on Monday, May 21, 2012.